Product prices and availability are accurate as of 2019-04-16 09:02:01 EDT and are subject to change. Any price and availability information displayed on http://www.amazon.com/ at the time of purchase will apply to the purchase of this product. Ideal for recessed cans and track light fixtures (view larger). Philips' family of incandescent light bulbs provides the perfect light for dramatic accents and display lighting as well as general lighting in a variety of applications. These flood lamps produce homogeneous beams of high intensity for general illumination, while casting a soft, white glow. With full dimmability, they allow you to instantly change the mood, look, and feel of a room, all by simply adjusting the light level. 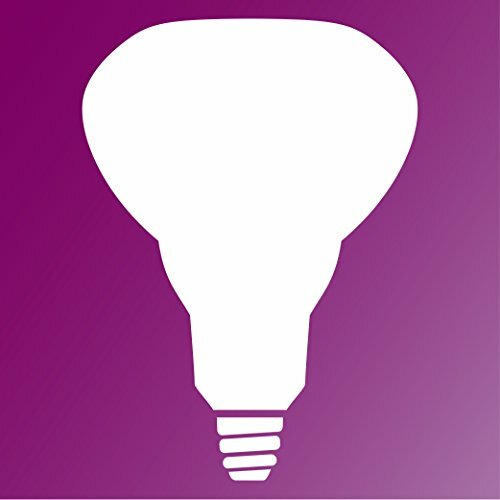 Not only does dimming capability aid in the creation of a relaxing and pleasant atmosphere, it also greatly increases the life of your incandescent light bulb. 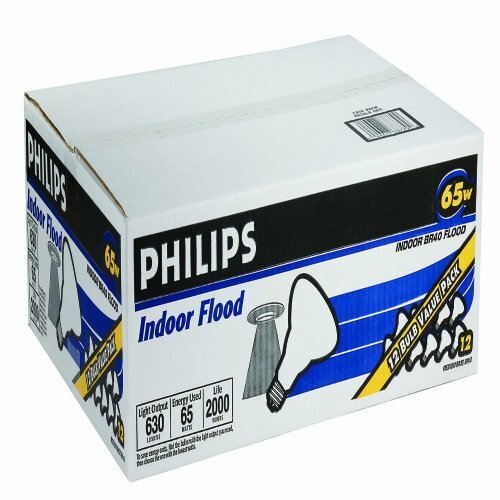 Philips BR40 indoor flood lights are perfect for recessed cans and track light fixtures and create a soft pool of light enough to fill your space. These light bulbs provide the ultimate in soft, uniform, diffused illumination with reduced glare. 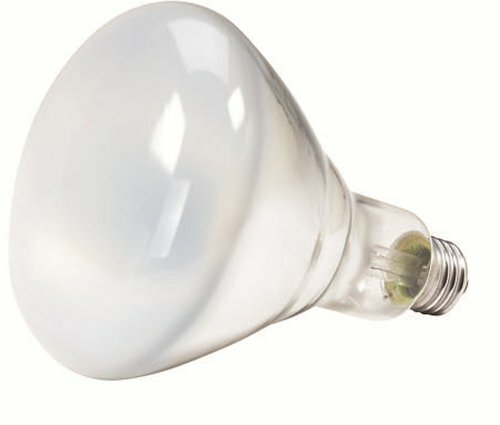 Reflector light bulbs (R) and (BR) provide directional illumination, are often used in recessed down lights and track lighting, but cannot be used outside in open fixtures. 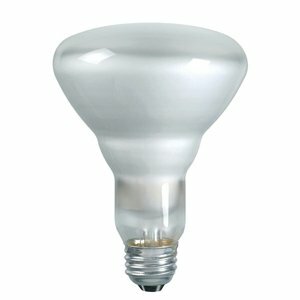 This bulb can be used with most dimmers to create your desired ambience with smooth dimming to 10 percent of full light levels. 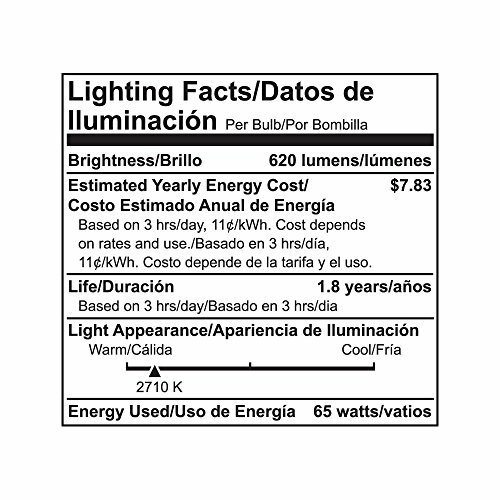 Color temperature is a measure of the light bulb's color when illuminated, and is measured in degrees Kelvin. The higher the number, the whiter, and then bluer, or cooler. The lower the number, the more yellow, or warmer the color. The whiteness of the light itself creates a mood in the lighted space. Reflector types provide directional illumination and are often used in recessed down lights and tracking lights. They have a soft, smooth beam and are available in spot and flood. 1. Life based on average usage of 3 hours per day, 7 days per week.